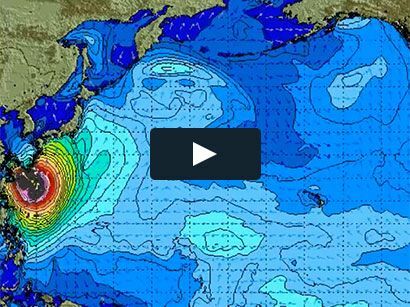 Surf News Network, 6 April, 2015 – Bells Beach. A day of shock upsets at the Rip Curl Pro Bells Beach, stop no. 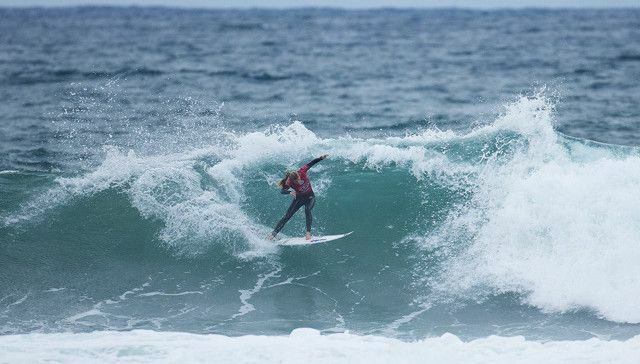 2 of the Samsung Galaxy World Surf League (WSL) Championship Tour (CT), as the men’s and women’s Quarterfinalists were decided in challenging conditions. Three former event winners were eliminated from the competition today with Kelly Slater (USA) going down to Gabriel Medina (BRA), Joel Parkinson (AUS) was defeated by Josh Kerr (AUS) and Silvana Lima (BRA) fell at the hands of Lakey Peterson (USA). Lakey Peterson opened strong against Lima with an excellent 8.33. The pair battled in the early-morning conditions but Lima, 2009 Rip Curl Pro Bells Beach winner, couldn’t match the American’s early high score and is eliminated from the competition in equal 9th place. Peterson moves through to the Quarterfinals where she will face Sally Fitzgibbons (AUS). Johanne Defay (FRA) also earned her place in the Quarterfinals, taking out Alessa Quizon (HAW) with a 14.54 two-wave heat total. The result for Defay, the lone European surfer on the women’s CT, is an improvement last year’s 9th-place finish at Bells Beach and she’ll match-up against defending event winner Carissa Moore (HAW) in the next round. Looking dominant, Tyler Wright (AUS) stormed through her Round 4 heat against Bianca Buitendag (ZAF). Wright’s final score, an excellent 9.13 (out of a possible 10), sealed the deal and led her to a convincing win over her South African opponent. Wright will match-up against reigning six-time WSL Champion Stephanie Gilmore (AUS) in the Quarterfinals. Courtney Conlogue (USA) was the final woman to take her place in the Quarterfinals after claiming victory against dangerous rookie Tatiana Weston-Webb (HAW). The Hawaiian battled throughout the 30-minute bout and, despite the highest score of the heat, couldn’t find a backup to edge the win, leaving Conlogue to move forward in the contest. Opening up Men’s Round 5 was one of the most anticipated heats of the year so far with 11-time world champion Kelly Slater (USA) coming up against the new guard, reigning WSL Champion, Gabriel Medina (BRA). 23 years his senior, Slater was in control for the majority of the heat with 2 mid-range scores, but with less than five minutes remaining, Medina took off on a smaller inside wave without priority and rapped three nice turns to land a heat high 7.17 and take the win. Medina’s victory today sees him take the edge over Slater with six wins to the American’s five across the pair’s 11 CT match-ups. As the wind increased and conditions began to deteriorate, three time Rip Curl Pro Bells Beach winner Joel Parkinson (AUS) met fellow Coolangatta raised surfer Josh Kerr (AUS) in a Heat 2 of Round 5. Parkinson’s silky rail surfing had him in the box seat for the entire heat with Kerr not finding a wave until the 20-minute mark. Kerr was able to hit the front after the final siren, take the win and will do battle with Owen Wright in Quarterfinal 2 when competition resumes. Mick Fanning (AUS) battled Jadson Andre (BRA) for a Quarterfinal berth. The pair have previously matched up three times at Bells and the Australian has won all three bouts. Andre held the lead for the first half of the heat with Fanning searching the challenging lineup for a score of significance. The defending event winner found a solid 7.00 to put him back in contention and backed it up with a 5.27 for the win and a place in the Quarterfinals for the tenth consecutive year. Jeremy Flores (FRA) had a lot to surf for in the last heat of Round 5 against past Bells runner-up Nat Young (USA), battling for the remaining spot in the Quarterfinals. Showing composure above his years, Young posted two good scores to hold the tour veteran at bay and look to continue his success at the Rip Curl Pro.